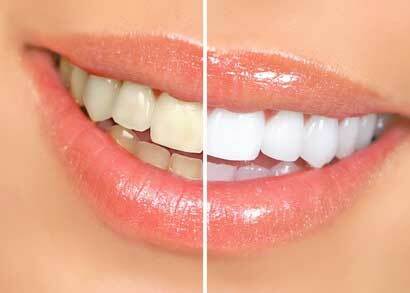 Teeth Whitening is a non-invasive dental treatment used to create a brighter and whiter smile. Choose in-office whitening and lighten your teeth up to 6-10 shades in one visit or opt for a take-home whitening kit. Both of these professional whitening methods remove deep-down stains caused by factors such as tobacco, coffee, tea, and aging. This treatment can improve your smile instantly. To learn more about cosmetic solutions to dental problems Click Here.